My first day of school twenty years ago looked much different than it does today. Back then, the students would walk into the classroom on the first day of school and find the desk with their name tag on it. The classroom rules were posted and I taught the students the rules and procedures they were expected to follow. After a few weeks of school, I would form groups and tell students who they would be sitting with. I was the Queen of my Queendom, and the students were expected to obey what I said. I learned over the years that I could accomplish the same goals in an easier and more effective way and empower my students at the same time. 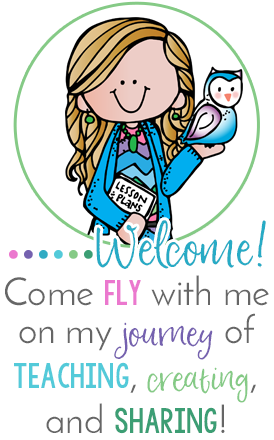 Today I want to share my how I changed my ways and enriched the environment of my classroom. Every year I let the students choose where they would like to sit on the first day of school. When they walk in the door, I tell them to sit wherever they feel most comfortable. It's important from me to observe my students' interactions with one another. This also helps to relieve some anxiety, since they are able to sit next to their friends. I am able to see which students work well together, which students work a little too well together, and which don't get along and shouldn't work in the same group. After a few of the typical getting-to-know-each other activities and a tour of the campus, I bring the students back to their seats and ask them to close their eyes and visualize the perfect classroom. I ask them what kinds of things they would hear other people saying in a perfect classroom and what would they see happening in a perfect classroom? I also ask them how it would feel in a perfect classroom. I have them think about these questions for a minute, then I ask them to work in pairs to discuss their thoughts. Next, I have pairs form into groups of 4-5. Each group is given poster paper, and they write down the statements everyone in their group makes. I walk around the room and observe and refrain from commenting on their discussions. After students are finished brainstorming, we post the charts and discuss them. 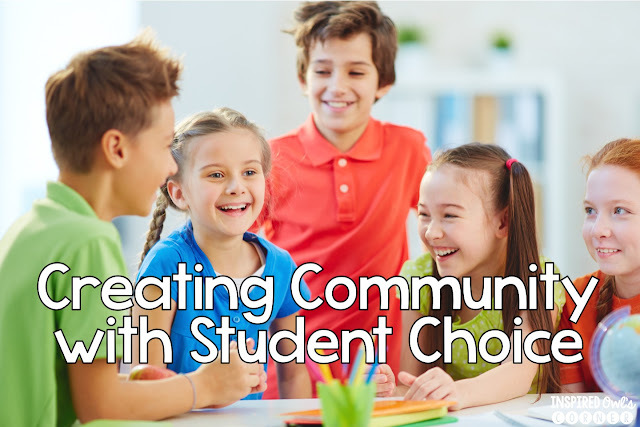 They usually talk about hearing only positive comments being made, no put-downs, students working nicely together, sharing, etc. Everyone comes to the agreement that we would all like to have the perfect classroom, and in order to achieve that, it would involve everyone working hard to create the positive environment we've imagined. I leave the posters up to refer to as I'm teaching the first few weeks of school. Have you ever had your students create the classroom rules? You have to save your pretty classroom rules posters for the second day of school if you do this! I have students work in groups and come up with the rules they think are important to have in a classroom. After everyone brainstorms and records their ideas, we discuss them as a class. I tell them I will take their ideas and compile them into 5 or 6 classroom rules. Surprisingly, the rules they usually come up with fit into the rules I have already established. We call these rules our "agreements", since everyone helped to make them and agreed to follow them. (I also added these agreements to my Class Dojo behaviors). Students really buy into following the agreements because they helped create them. Empowering our students to have a say in the rules they are expected to follow makes our time in the classroom easier. After a month or so of observing students working in pairs and groups, I like to form permanent collaborative groups. I ask them to write the names of 5-7 other students who they think they can work well with. I promise them that I will do my best to choose at least one of those students to be in their group. I make a really big deal about their permanent groups. It's always fun to form the groups using candy or some other non-traditional way of grouping. I have also used gum, cookies, and animal sounds to create collaborative groups. Another idea for grouping is to have a picture or sticker of one animal, insect, sport, or any other theme for each group you are making, pass them out, and have students get into their groups by category. Students love variety and novelty! 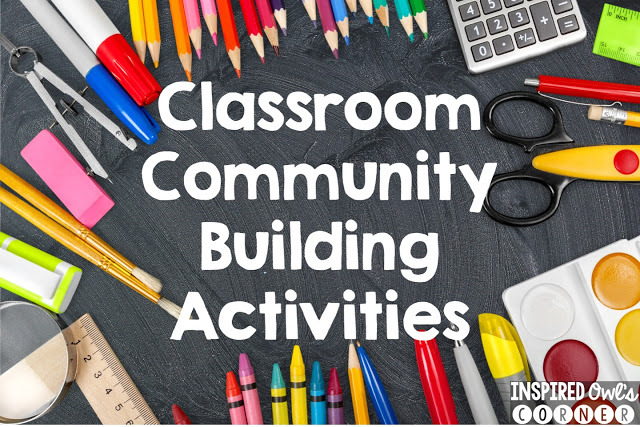 I have created a pack for you to download HERE if you would like to use some of these activities in your classroom. 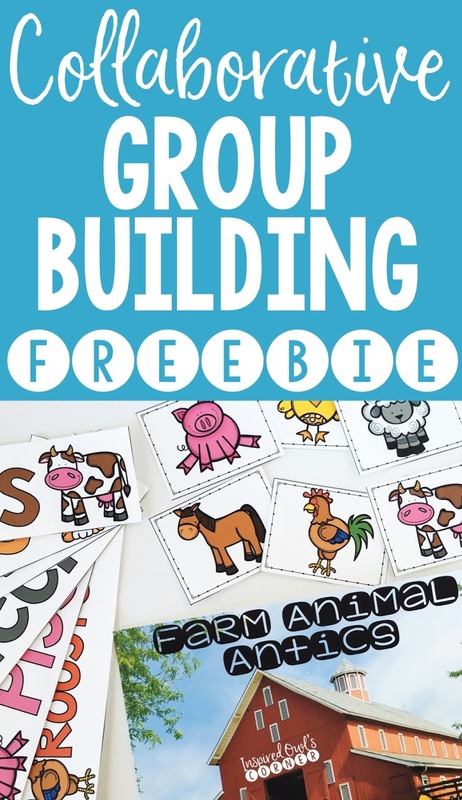 The picture above is a really fun grouping activity involving farm animals and is included in the pack. 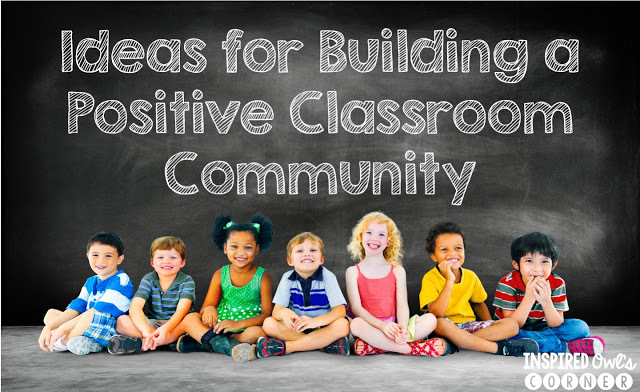 I hope you've found some ideas you can use for creating a positive classroom community. Be sure to check out the previous posts and freebies in this series by clicking on the pictures below. I would love to know how you create a sense of community in your classroom. Leave me a comment below!